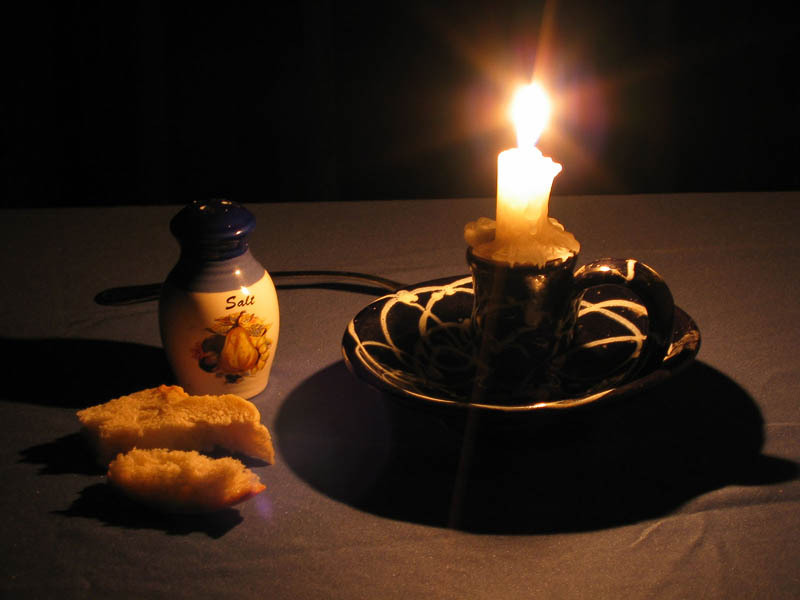 Art scene with pieces of dry bread and saltern at table on burning candle light with radiance and dark background. Burning wax candle with halo, aureole in candlestick, salt-works and slices old bread on black background. Poverty, poorness, hunger, starvation.